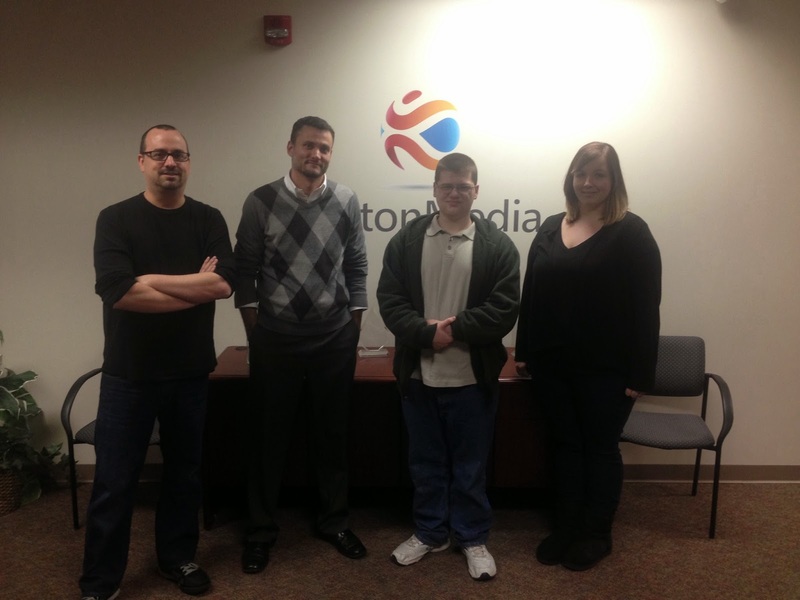 Earlier this month we had the privilege of hosting 17-year-old Josh Vickery through a community-based job sampling at our corporate offices in Lansdale, PA.
Vickery, a student at Commonwealth Connections Academy cyber school, met with myself and members of our art team, Jim Seaver and Sara Christy, to discuss a career in 3D game design and development. We spent some time showing him what it's like to be a 3D artist/designer and gave him an opportunity to get a hands on experience with ProtoSphere. The afternoon was part of a career exploration program run by All About Abilities, a company which serves youth with special needs throughout Bucks County, PA.
Vickery, who is autistic, wants to be a game developer. He’s built one game so far, his own version of Pong, and wants to enter the workforce in a career of his interest. Mike Kelly, who runs All About Abilities, said the job exploration program is about "fighting the stereotype that those with special needs should be bagging groceries or sorting utensils." An advocate for individuals with special needs, Kelly believes they can do so much more. We here at ProtonMedia all want to wish Josh the best of luck.